A facelift is a plastic surgery procedure that lifts and smooths facial skin and deeper tissue to achieve a more youthful appearance. 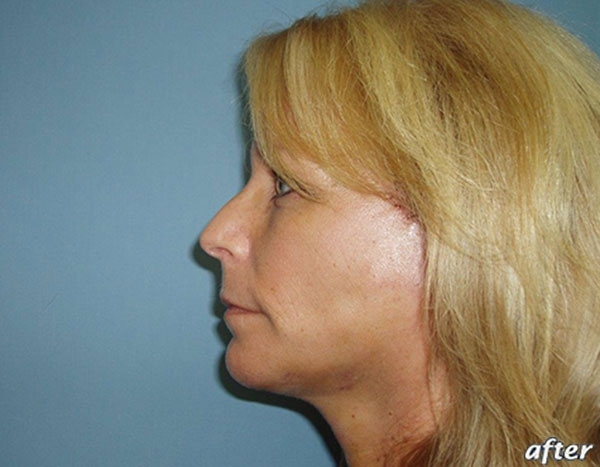 Facial creases, sagging, jowls, and loose skin along the neck can all be addressed with a customized facelift. This surgical treatment focuses primarily on the lower two-thirds of the face and can be combined with other facial procedures for more comprehensive rejuvenation. For many men and women, facelift surgery can turn back the clock by as much as 10 years, which often boosts self-confidence and self-esteem. 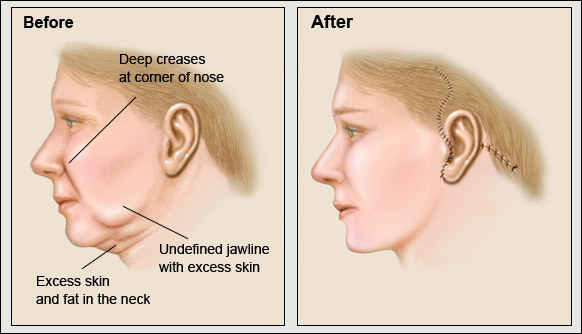 If you are considering a facelift and want to learn more about the procedure, we encourage you to explore the informational sections provided below or contact us today at the Advanced Centre for Plastic Surgery. The facelift procedure is typically performed for men and women, from their 40’s into their early 70’s, who may have loose skin around the lower face and neck, prominent jowls, loose skin along the jaw line, and/or deep creases between the nose and mouth. Non-smokers who have good skin elasticity, are in good overall health, and strong bone structure are most likely to experience optimal results. What Can I Expect at My Facelift Consultation? Dr. James Matas—our board-certified plastic surgeon in Orlando, Florida—is highly trained and experienced in facial plastic surgery. During your personal consultation will ask you about your motivations and goals for facelift surgery. He will also assess your physical and emotional health by reviewing your medical history, checking your current health status, and recording any supplements and/or medications you are taking. An examination of your face and neck will help Dr. Matas determine your skin quality, while assessing your skin tone and underlying bone structure. You may also be asked to bring in photos that show your face at a younger age so that Dr. Matas can learn more about how your face has aged. Based on this comprehensive analysis, Dr. Matas will be able to recommend a customized treatment plan—which may include a facelift along with other additional cosmetic procedures or non-surgical treatments—that can achieve the rejuvenated results you are looking for. He will fully educate you about the process by explaining the techniques he plans to use, where the incisions will be located, and the type of anesthesia you will require. Finally, he will be sure to discuss any potential risks or complications you should be aware of. Before your surgery you will be instructed to stop taking ibuprofen, aspirin, herbal supplements, and Vitamin E, along with any other substances that can cause increased bleeding or interfere with anesthesia. For patients who are smokers, Dr. Matas insists that at smoking be stopped at least a month before surgery to encourage optimal healing. When your consultation is complete, a member of our office team can review a cost estimate for your custom facelift treatment plan. You will also have the opportunity to discuss financing options and learn about next steps you can take towards your facelift surgery. An incision is usually made above the hairline at the temples, follows a natural line to the ear and continues behind the earlobe to the lower scalp. A smaller incision may be necessary under the chin area. Excess fat is carefully removed, the muscles are tightened, and the skin is re-draped to improve the contours of the face. Dr. Matas takes great care to ensure the skin is made taut, but not overtightened, so that a natural appearance is seen afterwards. Sutures are used to close the incisions and secure several layers of tissue and skin in their newly tightened state. Surgery is performed on an outpatient basis and patients are placed under general anesthesia for the duration of the procedure. Facelift surgery typically takes between three and four hours, but when more procedures, such as eyelid lift or brow lift, are included in the operation the process may take longer. Bandages, along with a supportive garment, will be carefully placed over your head and neck before you leave the surgery site. Facelift patients don’t typically have much pain following surgery; however, prescribed medication can alleviate discomfort you may experience. It is common to experience some swelling, bruising, and tingling, which should dissipate within about two to three weeks. During recovery, Dr. Matas recommends lots of rest, and instructs patients to avoid rigorous activity, sun exposure, and alcohol, as well as steam baths and saunas. Your neck garment can be removed with in a few days following surgery; however, you should be aware that your face may be quite swollen still. After five days our massage therapist can begin special treatments designed to help reduce swelling and provide comfort. After about 10 to 14 days you should be ready to go back to work, but Dr. Matas typically suggests maintaining a lighter schedule than normal, as you may tire more easily. If you are concerned about any visible bruising or discoloration on your face, special makeup can help you camouflage any leftover signs of your surgery. Will I Have Visible Scars After Facelift Surgery? Dr. Matas is highly experienced in facial plastic surgery and uses the latest techniques for performing facelifts, which helps him create great results and limits visible scar tissue. When he makes incisions during the surgery, he is careful to ensure they are well concealed within the hairline and along the ear. His tissue smoothing, tightening, and suturing techniques are also critical for minimizing scars and other cosmetic irregularities, enabling him to deliver the world-class outcomes he is known for. Post-surgically, Dr. Matas also provides special instructions for proper wound care that should be adhered to closely, and he will keep a watchful eye on how your incisions are healing during your follow-up appointments. As your scars continue to mature, they should fade and flatten, ultimately becoming scarcely visible. Many of Dr. Matas’ patients are amazed by the smooth, natural look of their facelift and have no issues with visible scar tissue. 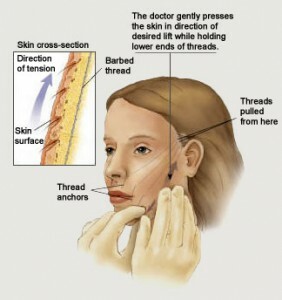 Some patients who are concerned about scarring prior to facelift surgery also take comfort in knowing that if they desire treatment to reduce the appearance of potential scarring, Dr. Matas can recommend techniques that have proven to be very effective for diminishing scars. That said, scar revision treatment is rarely necessary for facelift patients. The length of time your facelift results last will depend on how extensive your procedure was, any other additional treatments you underwent (perhaps neck lift or a chin implant), and the rate at which your skin and tissue continues to age. Many of Dr. Matas’ patients who take good care of their skin, refrain from smoking, live a healthy lifestyle, and protect their skin from the sun tend to show longer lasting results. They also commonly remark that, following facelift surgery, their faces and necks age more gracefully. To help perfect and extend results, Dr. Matas may also recommend non-surgical skin treatments or cosmetic injectables to rejuvenate skin, add volume, and/or smooth wrinkles. When you come in for your consultation, Dr. Matas will be able to answer any of the questions you have about the longevity of facelift results, as well as detail additional treatments and skin care products that can support a more youthful look for longer. The exact cost for a facelift varies from patient to patient and depends on a variety of factors including the facelift technique Dr. Matas chooses to use, anesthesiology costs, facility fees, post-operative medications, optional surgical aftercare, and more. 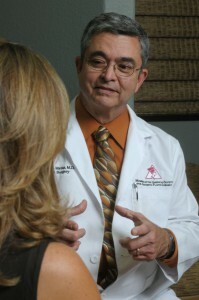 For general pricing information prior to a consultation with Dr. Matas, we encourage interested parties to take advantage of our free cost analysis, which provides a quotation based on your cosmetic goals—just fill out the online form and a knowledgeable member of our team will be in touch to learn more about you and calculate an approximate price estimate. We offer financing through CareCredit® and accept payments via major credit cards to make the procedures and treatments you want more affordable. Simply fill out the online CareCredit® application and quickly learn if you are approved for the amount you need. Low monthly payments make it easy to budget for cosmetic enhancements that might otherwise seem beyond your reach. If you have questions about payment or financing, please contact our office to speak with a member of our team who can provide the answers you need. Can someone be too young or too old for a facelift? There is no perfect age for a facelift. Each face ages differently—during a facial rejuvenation consultation, Dr. Matas closely examines the face to discern the depth and extent of aging that has occurred. A variety of factors can affect how the face ages, so the particular stage at which a facelift is most fitting (and optimal results can be achieved) can occur at different times. For each patient, Dr. Matas provides a detailed assessment of the face and lays out a variety of surgical and non-surgical options that are potentially suitable for creating a more youthful look. Those interested in finding out if they are a good candidate for facelift surgery are encouraged to contact our office to schedule a consultation. Which facelift technique is right for me? In addition to traditional facelifts, Dr. Matas also offers the MACS short scar facelift. Typically, the MACS technique is better suited to younger patients who have a small amount of laxity along the jawline and neck. 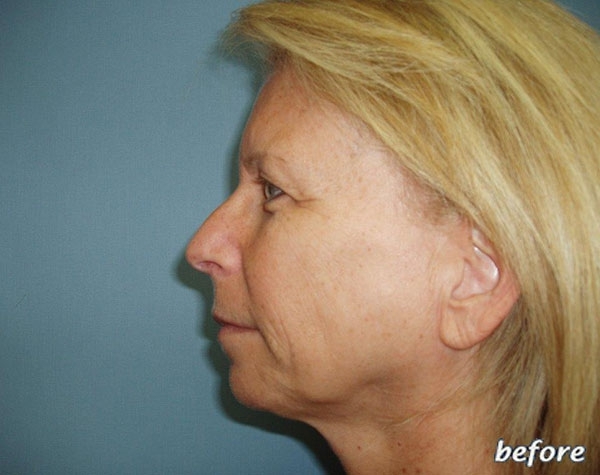 Individuals with more advanced facial sagging and muscle laxity tend to be better candidates for the more comprehensive and involved traditional facelift approach. A consultation with Dr. Matas can reveal which option is the right choice for accomplishing the results you desire. 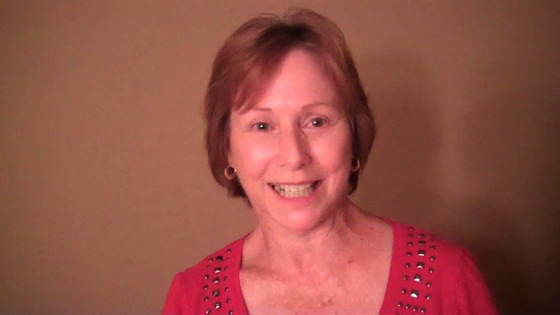 Can I combine other cosmetic procedures and treatments with my facelift? During your consultation, Dr. Matas may suggest other complementary procedures like brow lift, eyelid lift, and/or neck lift to address visible signs of aging that cannot be improved with a facelift alone. Non-surgical options, such as BOTOX® Cosmetic and dermal fillers, may also be recommended to smooth wrinkles and enhance volume in specific areas of the face. Using his expertise and experience, Dr. Matas will help formulate a customized facial rejuvenation plan that is suited to your unique needs and goals. We anticipate that the results of your facelift will help you look and feel more youthful, and boost your self-confidence. Your family, friends, and co-workers will likely comment that you look rested and refreshed, and ask if you went on a relaxing trip or have a new haircut. As you gain confidence, you may find yourself joining a new club, beginning a new hobby or enjoying more rewarding relationships with those around you!